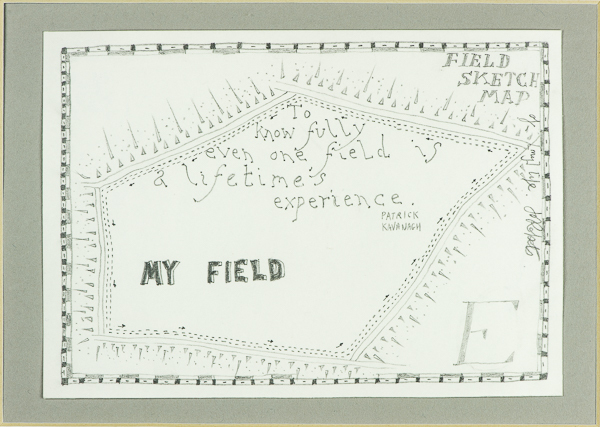 This series of work developed out of research into fields, primarily in Herefordshire, and South Yeo Farm in Devon. 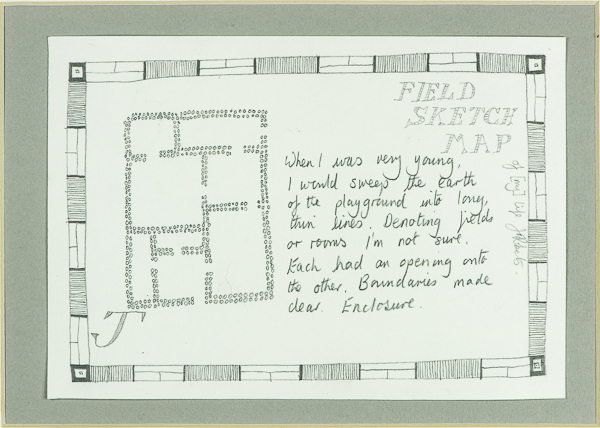 I was examining what happened during enclosure, the shape of the fields, the boundaries and the names given to them. 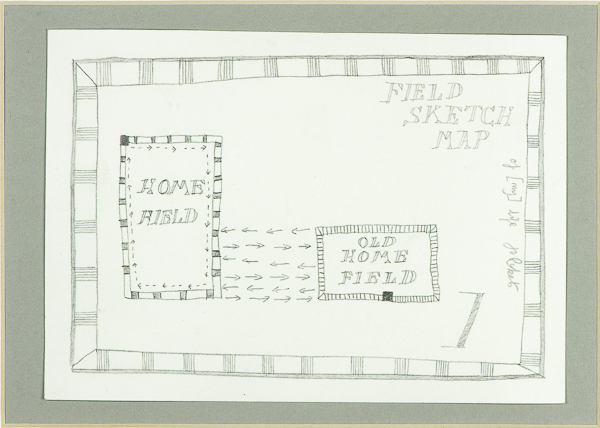 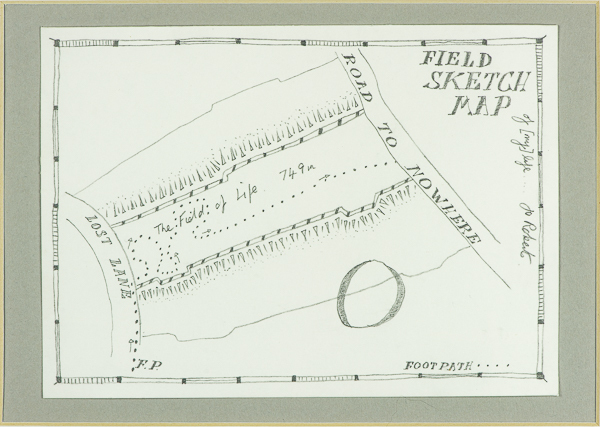 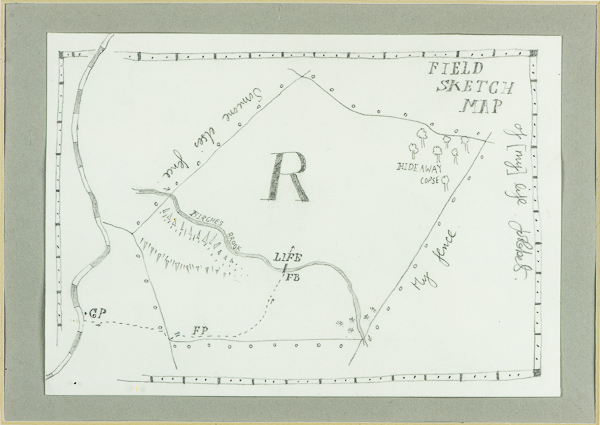 Local men, Meresmen, would go out and record the boundaries on Field Sketch Maps. 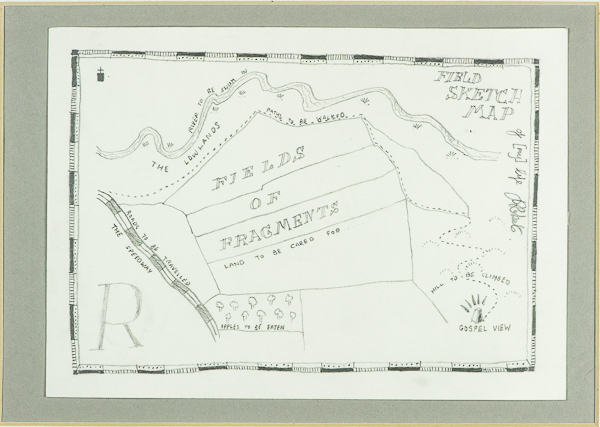 Quite often on large-scale maps you will find just one or two large letters, for example the ‘e’ and ‘r’ from Herefordshire. 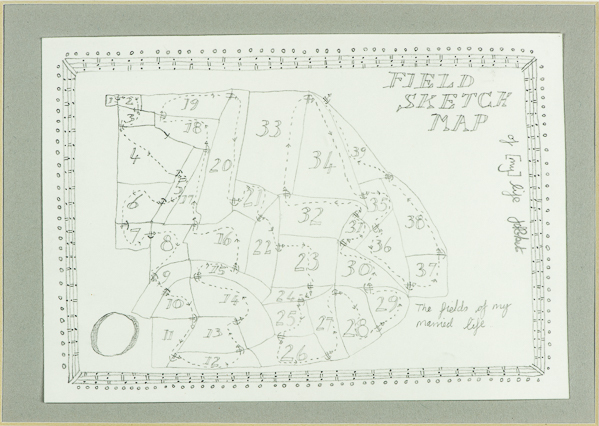 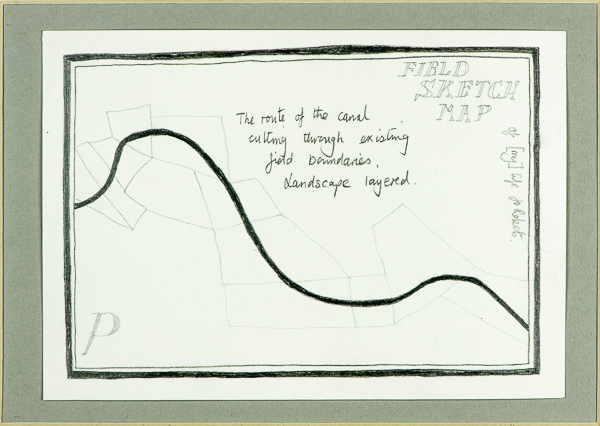 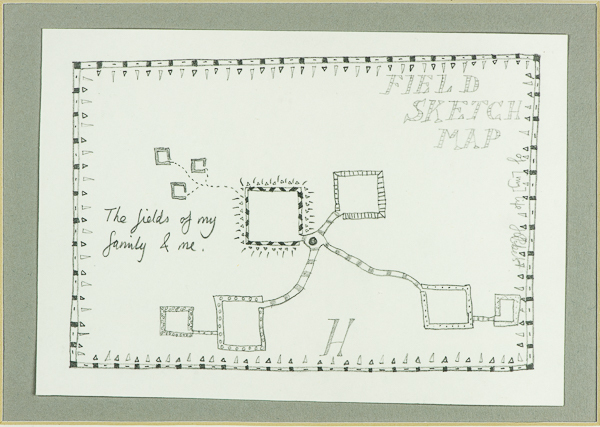 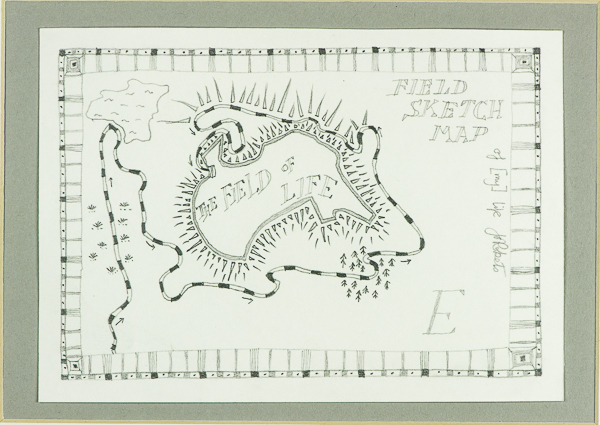 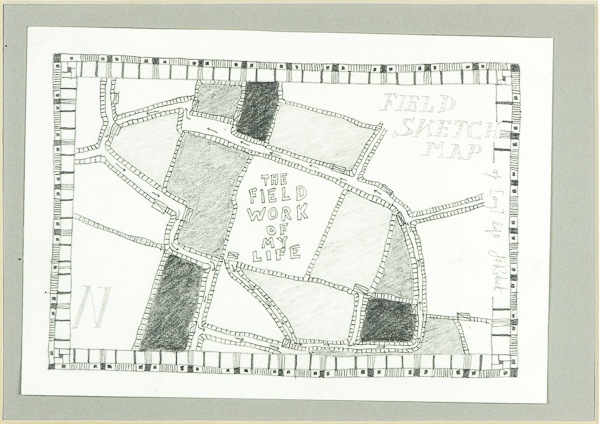 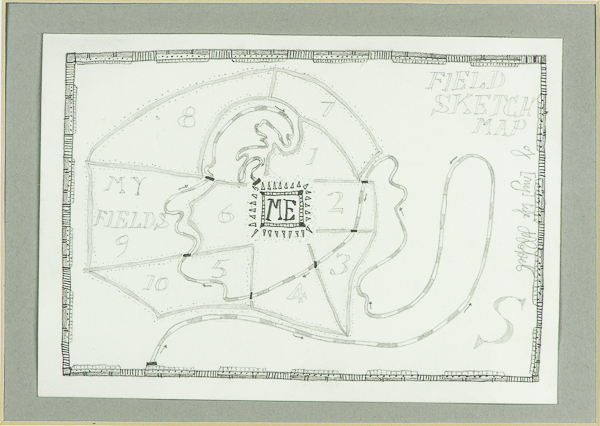 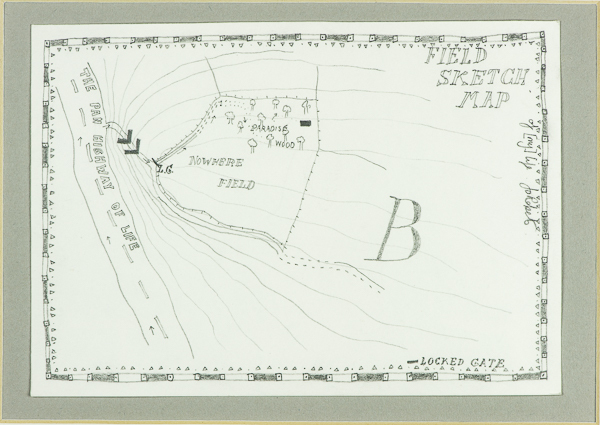 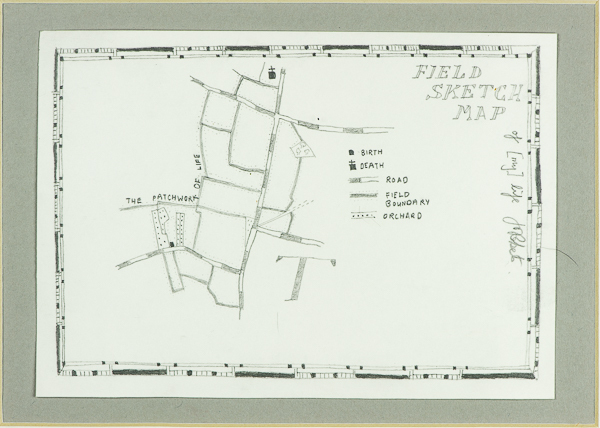 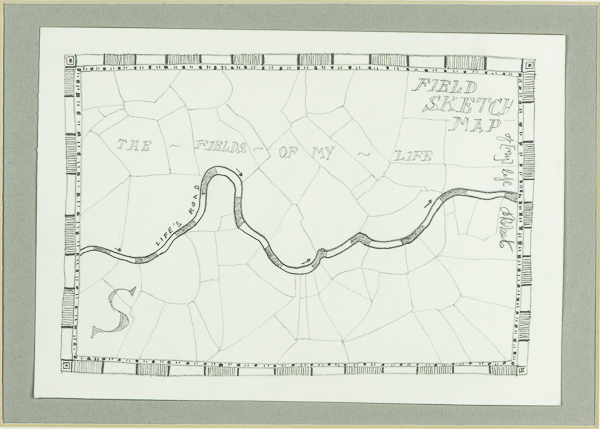 I produced 16 Field Sketch Maps, each with a letter of my full name – Josephine Roberts. 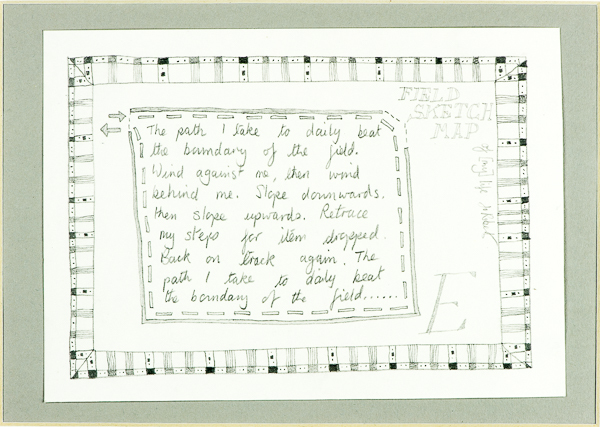 These I sent out via social media every day for 16 days.